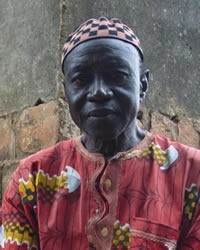 The Jula people, also known as Dyula or Dioula, migrated from several West African countries, including Mali, Cote d'Ivoire, Ghana, Burkina Faso, and Guinea-Bissau. Historically, they established trading communities across West Africa in the fourteenth century. They often conducted business with non-Muslim. As a result, they developed a set of theological principles for conducting business with non-Muslim societies. Culturally, they are hierarchical or caste-based. They also are are patrilineal and patriarchal, with older males possessing the most power and influence. The father heads the family and inheritances are passed down from fathers to their sons. They are encouraged to marry within their own clan or caste. They are Sunni Muslim. If they originated from a rural area, they may combine their Islamic beliefs with animistic traditions, such as the presence of spirits and use of amulets. Pray God will bring Jula in contact with evangelical Christians who will exhibit Jesus Christ in word and deed. Pray God will send Christians to minister among the Jula people.